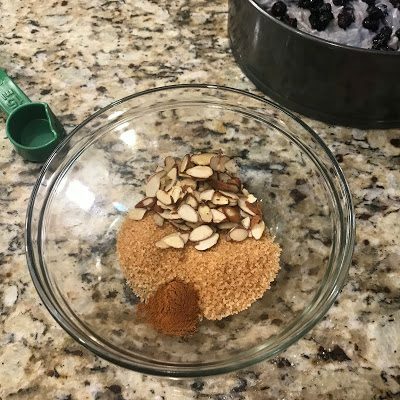 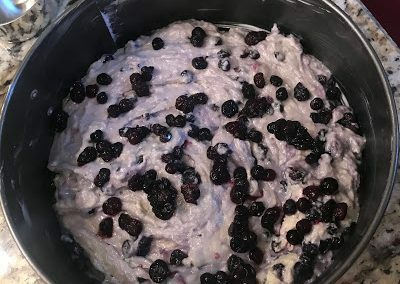 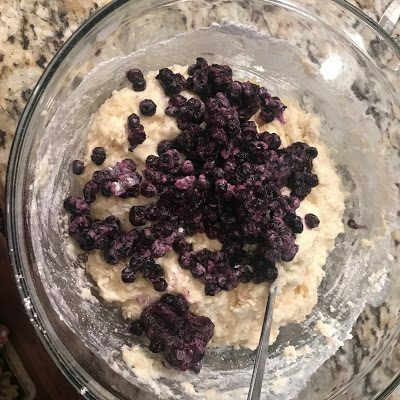 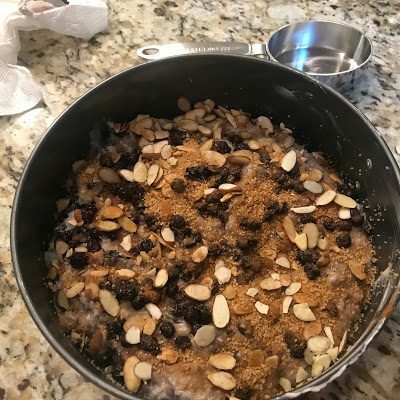 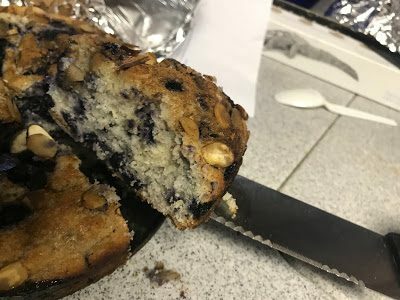 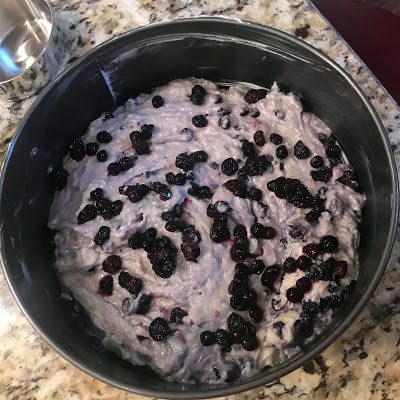 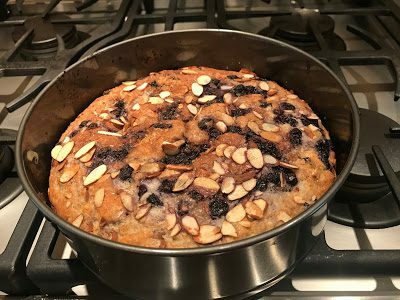 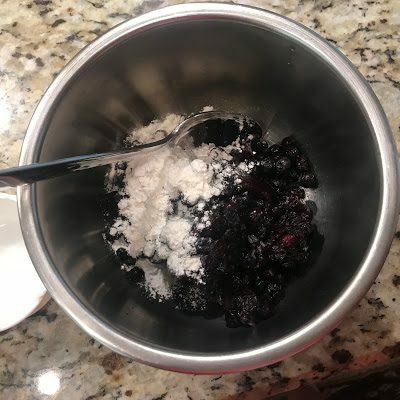 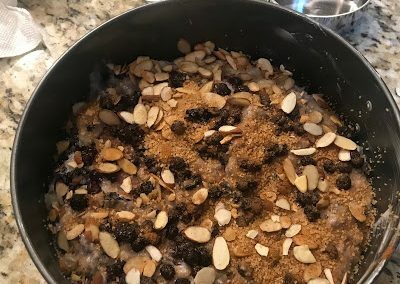 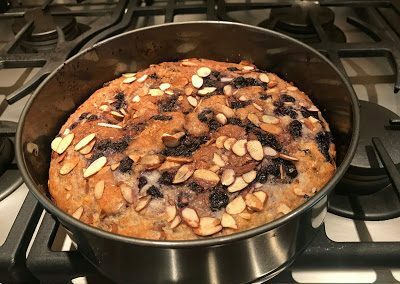 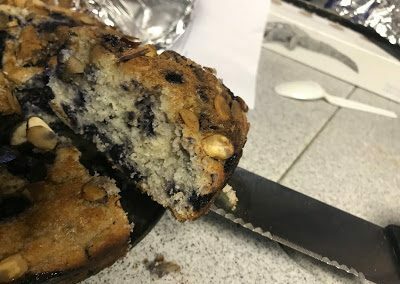 1 large egg 1/2 cup fat-free milk 1/2 cup plain fat-free yogurt 3 TBSP vegetable oil 2 cups flour 1/2 cup sugar 4 tsp baking powder 1/2 tsp salt 1 1/2 cups frozen blueberries 1 TBSP all-purpose flour 2 TBSP turbinado sugar 2 TBSP sliced almonds 1/4 tsp ground cinnamon Preheat oven to 400 degrees F. Whisk together first 4 ingredients in a large bowl. 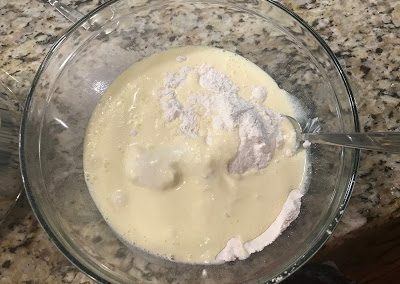 Sift together flour, sugar baking powder and salt in another bowl. 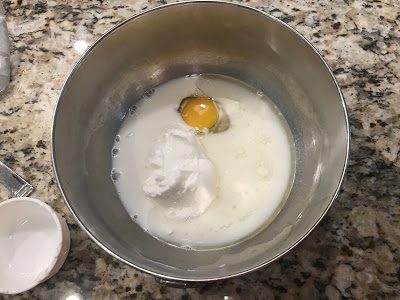 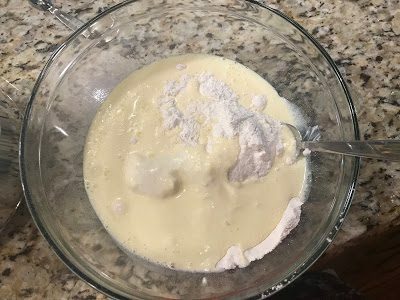 Stir flour mixture in egg mixture just until dry ingredients are moistened. 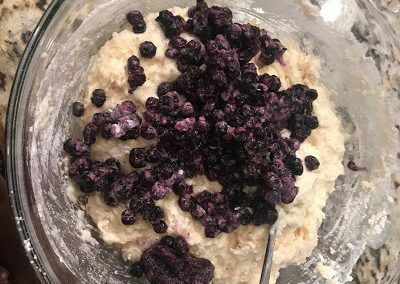 Toss 1 1/4 cups blueberries in 1 TBSP flour; fold into batter. 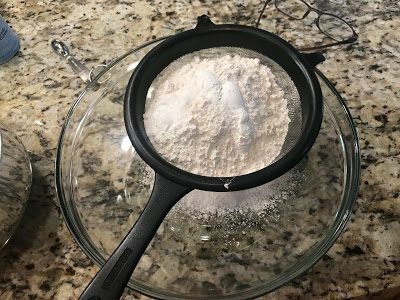 Pour into a lightly greased 9-inch springform pan. 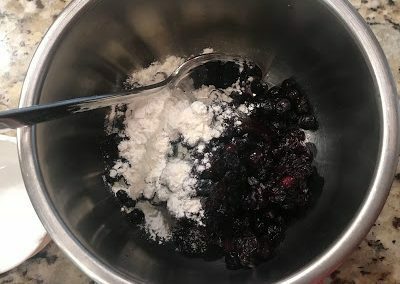 Sprinkle with remaining 1/4 cup blueberries. 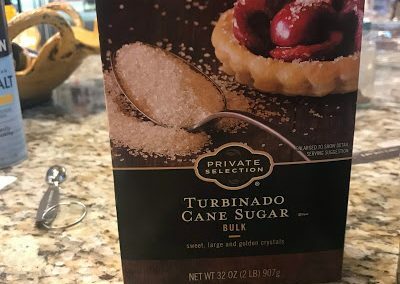 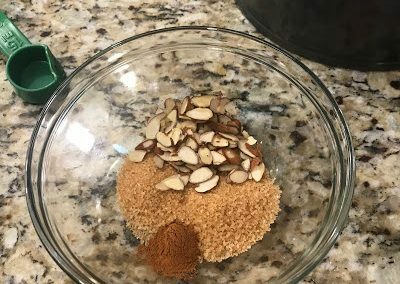 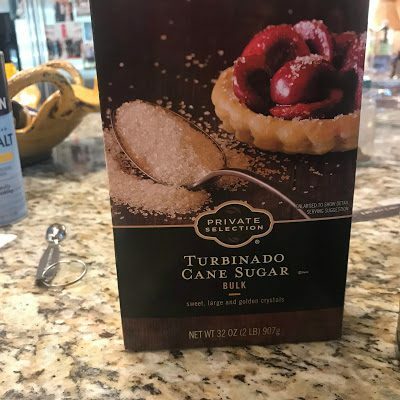 Stir together 2 TBSP turbinado sugar, sliced almonds, and cinnamon; sprinkle over batter. 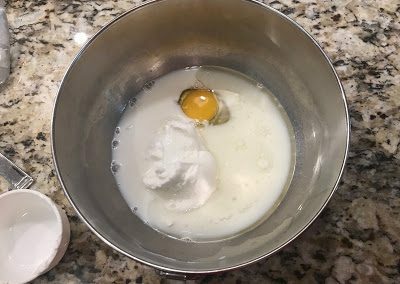 Bake at 400 degrees F for 25 to 30 minutes or until a wooden pick inserted in center comes out clean. Cool in pan on a wire rack 15 minutes; remove sides of pan*. 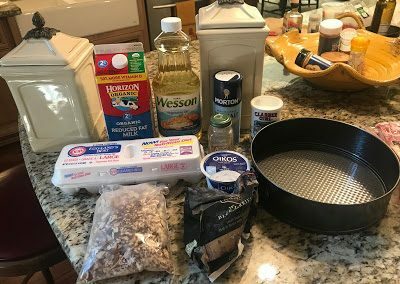 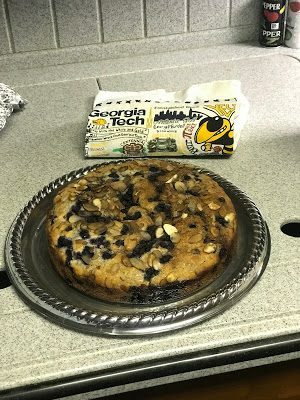 *For a tailgate, I’ll make this coffee cake in advance, wrap in foil THEN remove the sides of the pan once I’m ready to serve, to make it easier to transport.